Carers Trust - Fibre WAN with VPLS Core - Exponential-e Ltd. Enabling Carers Trust to support their vision of IT virtualisation. A Fibre based WAN across the Carers Trust's five sites with VPLS core linking all of the sites together. Carers Trust is the largest charity working to support carers. They work to improve support, services and recognition for anyone living with the challenges of being an unpaid carer. They do this with their unique network of 116 independent carer’s centres, 55 Crossroads Care schemes and 99 young carer’s services. This network of support is united by a shared vision to ensure that quality information, advice and support is available to all carers across the UK. A merger in 2012 was the primary reason for Carers Trust to look to transform their IT service provision, including the implementation of the latest Cloud based technologies and solutions. Ensuring unity across the organisation and its employees, whilst ensuring that their infrastructure was current and fit for purpose, was vital to the success of the merger. A priority was also to ensure that employees were able to productively collaborate with each other, across the organisation, as easily as possible. An additional requirement was the need to incorporate two more sites to the Carers Trust Network - primarily as a number of their support functions, including Finance and Commercial, were relocating to these offices to reduce operating costs. However, with a limited IT team available internally there was a significant amount of work that needed to be done by an external service provider to ensure that the organisations core infrastructure, framework and services were modernised and managed suitably. With a number of existing suppliers providing a variety of different Network and Telecommunications services, the organisation wanted to streamline and rationalise services by selecting one service provider that could provide all their IT infrastructure requirements. This is where Exponential-e came in. With an increase in the number of remote workers, the Cloud solution recommended and implemented at Carers Trust needed to facilitate a number of business requirements. Alongside ensuring that remote workers could easily access the data and information on-demand, Carer’s Trust were looking to virtualise their IT infrastructure to create even greater efficiencies. A Fibre based WAN across the Carers Trust’s five sites was implemented, inclusive of a VPLS core which linked all of the sites together. This Network included a 25Mb breakout to the Internet and a Managed Firewall, ensuring that the Network was secure and protected. Across the Exponential-e secure and private Network they introduced a VoIP hosted service, which enabled the organisation to centralise their communications across all sites, meaning that calls could be transferred regardless of geographical location. With a migration of IT services to Office 365 and the addition of Virtual Data Centre (VDC) services, Carers Trust was left with the bare minimum to manage and support on premise. This enabled their internal IT teams to focus on more strategic IT activities that will benefit the organisation and its future growth. 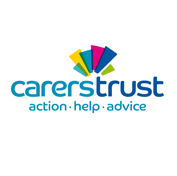 The introduction of Cloud based and virtualised services has enabled Carers Trust to be agile in the deployment of modifications to their Network and infrastructure, as well as flexible in terms of future growth. With Exponential-e providing a managed service with regards to their data centres and firewall, Carers Trust was able to focus their limited IT support on the delivery of services internally. The organisation is also secure in the knowledge that their Network will be proactively monitored and can easily be managed, minimising the risk of a need to implement a disaster recovery plan in the event of a failover. One of the major drivers for Carers Trust’s IT project was to unite their multiple sites, particularly after the merger in 2012. This particular issue was resolved through the implementation of a 5-site WAN and hosted VoIP solution, ensuring that all employees, regardless of location, could easily communicate with each other and quickly share data and be governed by one central IT policy and an end-to-end SLA. By taking Cloud based services from Exponential-e, Carers Trust has ensured that their IT infrastructure is protected, easier to manage and that there is unity across the organisation. They are enjoying the benefit of having one single supplier that has created resource, time and cost efficiencies. Internal IT resource can now be channelled into delivering IT Services thanks to virtualisation. Managed firewall ensures that their Network is kept secure and private. IT infrastructure is supported and protected by the Exponential-e 24 x 7 / 365 service desk. Utilisation of VDC services so that data and services are protected against onsite disaster. Introduction of a WAN ensured that sites could seamlessly and efficiently connect and communicate.